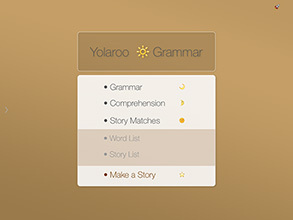 Yolaroo English Grammar and Reading is an advanced professional tool to teach beginner and intermediate students English grammar. 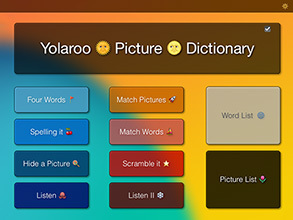 It is a smart dictionary and an infinite workbook. This app is friendly enough to teach students starting at 3 years of age, but it is advanced enough to help teach middle school students and advanced ESL students. Students learn both beginning and advanced words and how to use them in a fun and easy way. 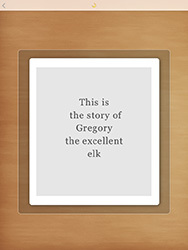 Vocabulary is introduced naturally and intuitively with grammar exercises. Students will learn basic grammar as well as greatly increase their reading comprehension. - Word comprehension - identify words like 'tea', 'watch','nine'. - Word type comprehension - identify 'numbers', 'animals', 'birds', 'dogs', 'jobs'. 100% free. No ads. No in app purchases. 'What Did I Buy' is a secure and private financial record keeping application for recording purchases and income. Follow the money. See where your money is coming from and where it is going. 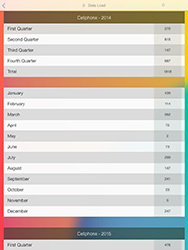 Use this info to become organized and save money to make money. What does the app do? It helps you record the income and expenditures for both individuals and businesses. 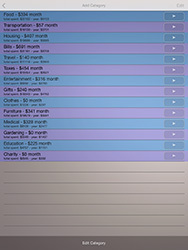 It records all expenditures and analyzes how money is spent. All records are automatically organized to express monthly, quarterly, and yearly purchases and income. Control spending by following the money. Compute how much a project will cost so you can make intelligent decisions on all your purchases. â€˜What Did I Buyâ€™ features password protection and multiple data backup procedures. â€˜What Did I buyâ€™ offers: - Two offline financial accounts per device. 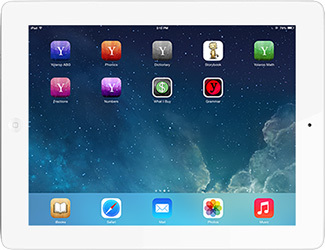 - Two iCloud financial accounts shared per iCloud account. - Email backup with CSV of all records and computations. -Search easily through records. Privacy statement: All records are completely private and are NOT available in any way or accessible by Yolaroo (the makers of this app) or any third party. Fractions are difficult for students to learn, because there are many steps and rules that must be followed to properly solve a fraction. This app has six activities that make learning fractions easy and simple. - This app has an an introduction to equivalent multiples. This makes learning least common multiples easier. lcm (a,b) = |a*b| / gcd(a,b). After having learned how to easily calculate least common multiples the student can then easily see how to properly solve fractions by properly using least common multiples as needed to make common denominators. - This app has a 'Fractionator' that shows the equivalence relationship between fractions. 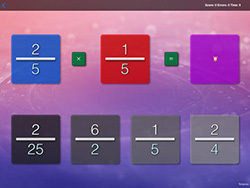 This app lets students see the answer for a large number of fraction problems while the brain of the student learns the patterns of mathematics quickly and naturally. With this tool the student can easily see the different rules used for the addition, the subtraction, the multiplication, and the division of fractions. This makes learning math as easy as learning a native language and not as if the student is having to learn something esoteric that remains to be solved. - This app has a basic fraction game that has students learn the relation between graphical fractions and the numerical fractions. - This app has a fractional equivalence game that helps students learn to recognize equivalent fractions. 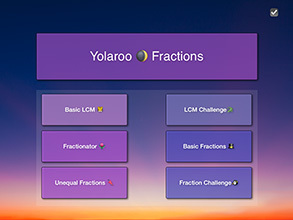 - This app has a Fraction Challenge mode that tests the student's ability to answer simple and advanced fractions. This helps the student learn how to solve fractions with an infinite workbook and also acts as a test to show that the student can solve fractions. Everyone needs a good education. This app is 100% free, because learning and education are important for everyone.